So I was listening to 99% Invisible last week which, if you don't know, is one of the most compelling podcasts about design you can imagine. This particular episode focused on flags of cities - specifically the history of the one for Portland. This got me thinking about San Antonio's flag which I must admit, is more than a bit uninspired. Our fair city's current flag features an oversized white star siting on a bifurcated field of red and blue. 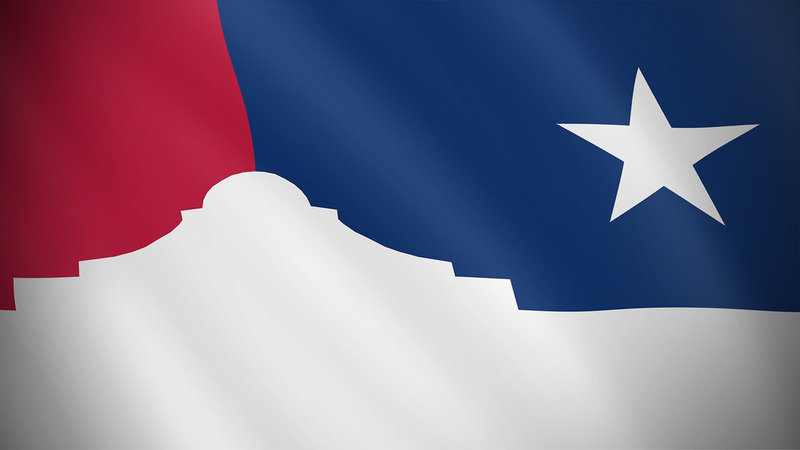 This design references to the Texas flag in a fairly obvious way - so obvious in fact that several other Texas cities such as Dallas and Houston use the same basic approach. Whereas those cities place their city seal in the center of the star, in San Antonio they place a little picture of the Alamo. Of course, it's hard to render architecture on a flag and so the illustration of the Alamo is crude at best. All that said, the basic design elements (the field of red, the field of blue, the lone white star and the illustration of the Alamo) all seem appropriate enough. And since the utility of a city flag is marginal at best, maybe we shouldn't worry about it too much. Then again, I am a designer and can't leave well enough alone. And so here is yet another modest, unsolicited proposal from HiWorks. Essentially, the design rearranges the same elements of the current flag to provide a more modern, dynamic composition. The fields of red and blue are no longer equally divided and the white star becomes smaller and is moved to the outside corner. The illustration of the Alamo is abstracted and instead of attempting to render the entire building, only it's iconic (and ironically non-historic) pediment is rendered. Individual taste will determine whether or not you like, by I personally think it is an improvement. As with our proposal for the Houston Astrodome and the Johnson Space Center, nothing will probably ever come of the design, but it was a fun exercise all the same.